IRELA President Ralph Schumann was recently quoted in a Chicago Tribune article by Leslie Mann entitled “Don’t Overlook These Homebuying Details”. 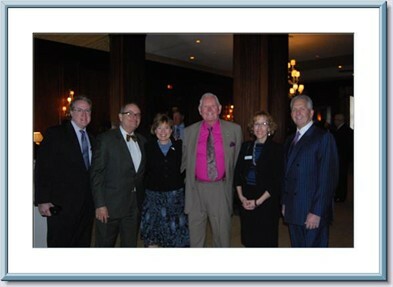 IRELA President Ralph Schumann attended a recent CBA Award Luncheon at the Standard Club in Chicago. Pictured with him above (left to right) are Bill Anaya, Partner, Arnstein & Lehr LLP, Shay Jacobson, LifeCare Innovations, Joel Daly, attorney and former ABC WLS-TV News Anchor, Martha Kern, LifeCare Innovations, and Mike Rooney, Executive Director, IICLE. UPDATE: Peter J. Birnbaum, President and CEO of Attorneys’ Title Guaranty Fund, Inc., recently issued a Bulletin to ATG members concerning Real Estate Broker-Controlled Title Agencies and the accompanying threats to the integrity of the real estate transaction and to the consumer. The Bulletin discusses, among other things, the proliferation of Listing Agreements containing title orders, and the role and responsibilities of Illinois real estate practitioners when presented with such situations. IRELA has for years been concerned about this situation and the threats it presents to practitioners and the consuming public alike. IRELA’s position has always been that the decision regarding ordering title constitutes the practice of law, as it requires evaluation of a number of factors in assessing which title insurance agency is best positioned to do the work required for the client while avoiding situations which might jeopardize a client’s best interests. IRELA will continue the important work of protecting the real estate practitioner and protecting the consumer in this area. We welcome your comments in this area. Feel free to contact IRELA President Ralph J. Schumann at rjs@SchumannLaw.com. IRELA COMMENT: Birnbaum’s Commentary provides important food for thought. Some listing agreements contain provisions that go beyond the usual terms regarding the listing of the property by the broker and broker compensation. Some contain orders for title services of which the seller may or may not be aware. IRELA members, and Illinois real estate practitioners in general, may wish regularly to offer to review any listing agreement before execution by a client. If a listing agreement that was signed without benefit of counsel contains a problematic boilerplate provision, such a provision may be voidable as a matter of law if the provision is shown to be unconscionable or contrary to public policy due to the unequal bargaining positions of the parties or on other grounds. In addition, if the listing agreement between the seller and the Broker contains a boilerplate order for title services with a separate title agency not a party to the listing agreement, the putative “contract” may be unenforceable due to lack of privity of contract. Schumann also was recently quoted in an article discussing legal issues presented with “More Adults Moving Back to Old Neighborhood, Buying Parent’s Home”. Gov. Quinn issued an Amendatory Veto of SB2664, the condo bill which was supported by a wide array of stakeholders as the best way to reintroduce a certain amount of predictability into the process of purchasing condominiums which were the subject of a foreclosure or similar action. IRELA had supported the proposed legislation. Governor Quinn’s Amendatory Veto would bring about dramatic changes in lien priorities, and could cause lenders not wishing to risk being held responsible to pay condominium assessments following a foreclosure or similar actionto simply refuse to lend to condo buyers in the first place, or to increase loan fees to offset the risk. Ralph Schumann, IRELA President and Past Chair of the ISBA Real Estate Law Section Council, worked with ISBA Real Estate Law Section Council Past Chair Joel Chupack on the legislation. It was also supported by IAR and the Illinois Mortgage Bankers Association. There have been reports that the condominium association lobby utilized inaccurate characterizations of the proposed legislation to frighten many of its members who responded with barrages of letters and phone calls to the Governor’s office. If true, this is most unfortunate. The efforts of several supporters who devoted countless hours to this initiative may have been for naught. The proposal contained in the Amendatory Veto is unlikely to gain sufficient traction in the legislature at this time, and it is similarly unlikely that the three-fifths majority required to set aside the Amendatory Veto will quickly coalesce. Yet, the problems SB2664 was designed to address remain. There is still a great need to re-introduce predictability into the buying process to avoid transactions being derailed at the eleventh hour by unexpected charges and costs that can run to thousands of dollars. The condominium association lobby is ecstatic because the Amendatory Veto proposal would in theory give a condominium association the ability to collect 100% of amounts owed – 9 months of regular assessments from the purchaser, and the remaining amount, including legal fees, chargebacks, and special assessments, from the bank. Moreover, property managers and legal representatives of associations would have every incentive to double down on “fast and loose” interpretation of the current statute’s requirements for recovery of attorney fees and other charges, and throw anything and everything on the defaulting unit owner’s account with no limits. In the final analysis, who really wins? If the Amendatory Veto proposal actually were to be implemented, would any lender be willing to extend financing to a condo buyer and incur this type of risk in the first place? IRELA is taking a careful look at the feasibility, or lack thereof, of the Governor’s proposed approach, and a range of possible next steps. IRELA has several concerns regarding the HUD Buyer Select program as implemented in Illinois since March 1, 2013. The requirements, and the elimination of a seller’s attorney in the transaction, shift responsibility for many of the functions traditionally performed by a seller’s attorney in Illinois from HUD’s designated counsel to the “Closing Agent”. NOTE: Schumann’s Letter expressing concerns with HUD’s Buyer Select Program was referenced in the monthly online newsletter of Attorneys’ Title Guaranty Fund, Inc., “The Trusted Advisor.” Any attorney considering acting as a HUD vendor and participating as the Closing Agent in these transactions should first review the Schumann Letter, the summary of issues raised in the “Trusted Advisor” article, and the Closing Instructions promulgated by PEMCO and other asset managers. IRELA members, as well as Illinois real estate practitioners in general, are urged to exercise extreme caution in this area. U.S. Secretary of the Treasury Jack Lew announced recently that Treasury is extending the Making Home Affordable Mortgage Loan Modification Program for another two years. The new expiration date is now set for December 31, 2015. The program offers help to homeowners through solutions including the Home Affordable Modification Program (HAMP), Home Affordable Foreclosure Alternatives (HAFA), and the Second Lien Modification Program. As of March, an estimated 1.1 million struggling homeowners have received a permanent modification through HAMP. The move aligns with the Federal Housing Finance Agency’s (FHFA) extension for the Home Affordable Refinance Program (HARP), which was first announced April 11th. Implementation of the Appraisal Management Company Registration Act. Newly enacted Section 1452 of Title 68 of the Illinois Administrative Code, promulgated by the Department of Financial and Professional Regulation (the “Department”) (effective March 4, 2013), is directed towards appraisal services and specifies rules implementing provisions of the Appraisal Management Company Registration Act, 225 ILCS 459. 68 Ill. Adm. Code 1452. These rules are comprised of definitions, application requirements, and registration, renewal, and reinstatement procedures. Fraudulent real estate transactions — Recently Enacted. House Bill 2832 P.A. 98-0098 (Lang, D-Chicago) allows a county recorder of deeds to establish and use a “Fraud Referral and Review Process” for deeds and instruments that the recorder reasonably believes are fraudulent, unlawfully altered, or intended to unlawfully cloud or transfer the title to any real property. The wide-ranging nineteen (19) “trigger” categories include instruments evidencing “non-standard punctuation” and certain types of maritime liens. NOTE: IRELA remains very concerned about the underlying issues that gave rise to this proposed legislation, and looks forward to working with the Cook County Recorder’s Office and the legislature to improve the implementation of measures established by the bill. The CFPB has announced the implementation of new tools to explore mortgage data relating to the Home Mortgage Disclosure Act. To access the Febraury 7, 2014 CFPB Notice, click on: CPFB New Tools To Explore Mortgage Data. To access and download a copy of the Act, click on: Home Mortgage Disclosure Act. Updated Febuary 7, 2014. The Clerk of the Circuit Court of Cook County has begun sending out invoices to a party or their attorney for the cost of mailing hard copy notices. The invoice further states that in order to avoid these fees, all parties must register for electronic notice with the Circuit Court Clerk. We are bringing this information to you as a courtesy notice. Updated Febuary 7, 2014. In a move expected to lower attorney fee costs for clients of limited means, Illinois Supreme Court Chief Justice Thomas L. Kilbride announced Friday that the Illinois Supreme Court has approved a proposal designed to lessen the legal costs in civil cases for clients of limited means. 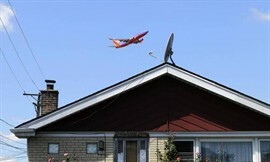 The proposal deals with a concept known as “limited scope representation” which more than 20 other states also permit. Limited scope representation allows attorneys to provide paid legal services on a portion of a client’s legal matter, rather than seeing it through from beginning to end. By providing services, specifically limited by agreement between the lawyer and the client, total legal fees should be more affordable for the client. ISBA President John E. Thies thanked Justice Kilbride and other members of the the Court for the amendments, and noted the Court was greatly aided by many individuals and groups that helped in the process. “I especially want to recognize the Lawyers Trust Fund, and the members of the Joint ISBA/CBA/IJA task force, including my co-chairs, Diane Klotnia of the Chicago Bar Association and Judge Ronald Spears of the Illinois Judges Association,” he said. Thies also thanked former ISBA president and IRELA founder and Chair, John O’Brien, who appointed the joint task force. As of January 12, 2012, the Transfer on Death Instrument Act becomes effective (for decedents dying on or after that date). Title insurance companies across the state are looking at the challenges presented by its implementation. Douglas M. Karlen is Vice President and Regional Counsel for Fidelity National Title Group. His recent article presents the view from the perspective of a title insurance company and addresses two significant issues. On July 1, 2011, the Supreme Court of Illinois announced amendments to Rule 1.15 of the Illinois Rules of Professional Conduct (IRPC) regarding a lawyer’s obligation to manage and protect client funds through client trust accounts. Before September 1, 2011 effective date, lawyers should take action to ensure that the trust accounts in which they have placed their clients’ funds meet the requirements of Rule 1.15. Three key changes affect: (1) the types of client trust accounts permitted: (2) specific recordkeeping requirements, and (3) automatic overdraft notification. The Title Insurance Section of the Illinois Department of Financial and Professional Regulation, Division of Financial Institutions, recently issued an important Cease and Desist Order against a national entity working in the area of REO sales transactions. ServiceLink, LP, (“ServiceLink”) a Fidelity Company, has been ordered to cease and desist several activities which the Section has found to be in violation of the Title Insurance Act, including purporting to issue title insurance in Illinois although ServiceLink is not registered as a title agent in Illinois. The Section also imposed a fine against ServiceLink for the several violations.